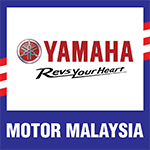 Malaysian riders participating in the annual Yamaha Asean Cup Race (YACR) remains optimistic of bagging strong results for Saturday’s race despite a poor outing in the qualifying sessions in Manila, Philippines today. Best Malaysian rider in the Manual Transmission (MT) category was Mohd Shariffudin Shamsuddin. Although he improved his practice lap time (1’01.318s) to clock in 58.920s, the 20-year old was still 1.355 seconds off poleman, Agus Setyawan’s who recorded the best lap at 57.565s, putting him 11th on the grid for Saturday’s race. Newly crowned Cub Prix WIRA Champion, Mohd Hafiz Nor Azman on the other hand qualified for 13th with 59.244s followed by Ahmad Afif Amran 14th (59.292s) and Mohd Taufiq Roslan 15th (59.999s). Meanwhile in the Automatic Transmission (AT), Thai representative, Anupad Samoon took pole position with 59’778s while Mohd Rozaliman Zakaria earned ninth with 1’01.034s followed by Che Ku Amriq 10th (1’01.154s) and Mohd Nasri Ishak 15th (1’01.999s). “The boys are struggling to find a good pace here in Manila mainly because the track requires a rough riding. 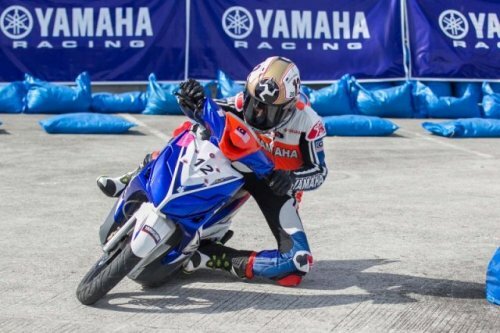 Here the faster riders are able to clock good lap times by jamming their brakes hard and flicking their machines which is very different from what our riders are used to in Cub Prix which is smooth riding,” said Yamaha Malaysia team coordinator, Melvin Tan. Despite the odds against them for tomorrow’s race, Melvin remains certain the Malaysian riders are capable of bouncing back in the race on Saturday. “Of course right now we are not where we expected but our riders did a good job improving their lap times and we are optimistic they can do better in the race tomorrow. However, they need to consider dropping their finesse and start riding like the Indonesian and Thai racers if they want to bag strong results,” he said.